The Lackmond TL7SPP 7 in. SPP Series Ceramic Tile Blade is designed to cut ceramic tile. They are engineered with a smooth, continuous rim for a clean cut with minimal chipping. 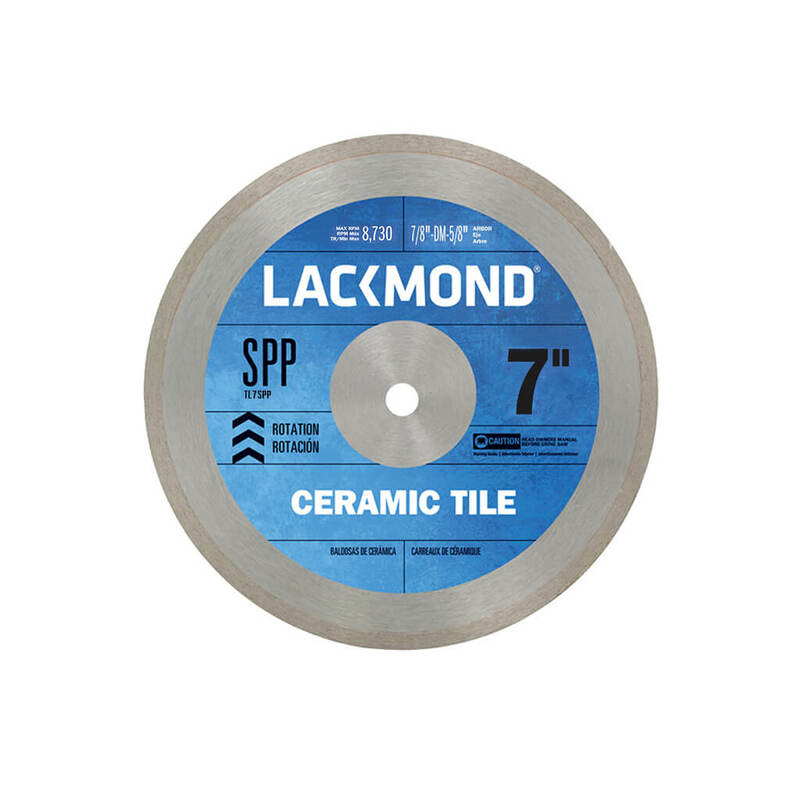 The SPP Series Tile Blades are ideal for cutting softer tiles such as ceramics, clay and soft stone.